Like any other antivirus or internet security solution out there for Windows operating system, with default settings, Kaspersky Internet Security and Antivirus don’t automatically scan when an external USB flash drive or hard drive is connected to your PC. Instead, Kaspersky shows the following prompt with Scan and Don’t scan options. As you likely know, if you often connect your USB flash drive or hard drive to other’s PCs, it’s a good idea to scan the flash drive as soon as you connect the drive to your PC to avoid viruses and other threats. 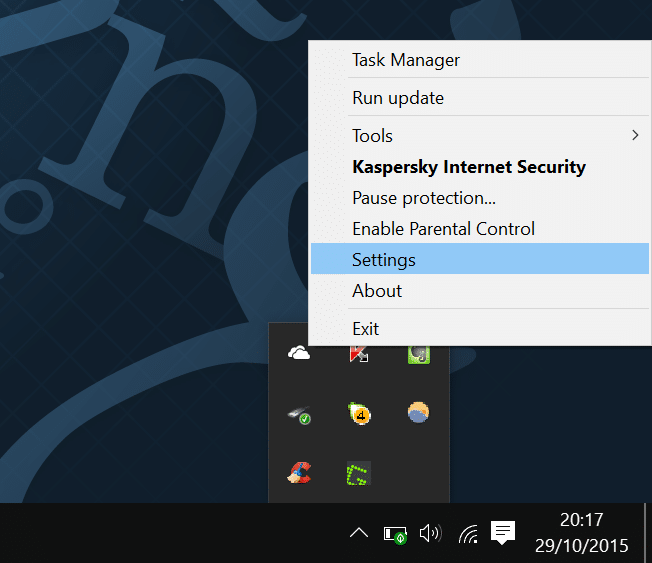 Although Kaspersky shows the above dialog box every time you connect an external drive to PC, why not configure the Kaspersky to automatically scan external drives as soon as they are connected to your PC? 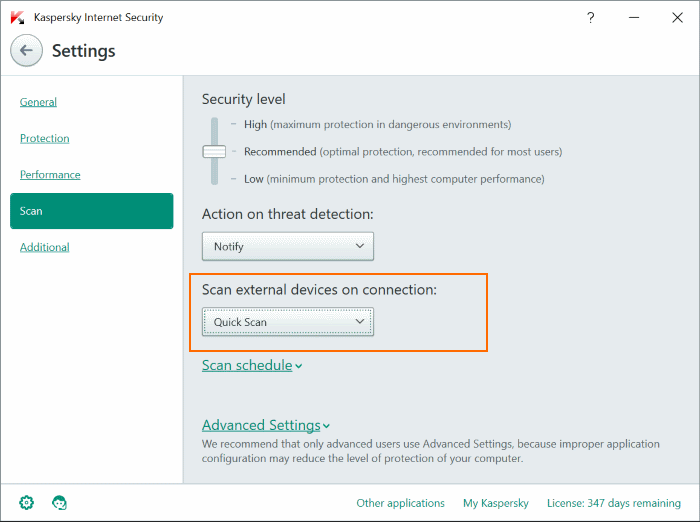 Yes, it’s possible to configure Kaspersky to automatically begin the scan whenever an external drive is connected to your PC. When the automatic scan is enabled for external drives, Kaspersky will automatically scan the drive as soon as the drive is plugged-in. Besides that, it also allows you to choose the type of the scan between quick scan and full scan. So if you often connect external drives to your PC, here is how to make Kaspersky automatically scan connected drives in Windows 7, Windows 8/8.1 and Windows 10. IMPORTANT: We have used Kaspersky Internet Security 2016 in this guide but the procedure is more or less the same for Kaspersky 2014 and 2015 as well. Step 1: Plug-in an external drive to see the following prompt. Step 2: Check the box labelled Remember my choice for all removable drives, and then click Scan button. 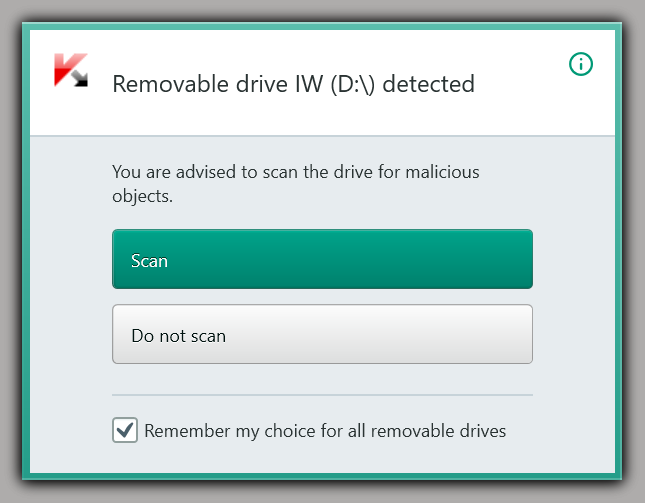 Note that if you click Do not scan after checking Remember my choice for all removable drives option, Kaspersky will not scan removable drives in future. So be sure to click Scan button after checking the box. From now on, Kaspersky will automatically scan when you connect an external drive. The advantage of this method is that you can choose the type of the scan Kaspersky to perform when an external drive is connected. Step 1: Open Kaspersky settings. To do so, right-click on the Kaspersky icon in the system tray and then click Settings. Step 2: On the left-pane, click Scan or Computer scan (in 2014 or older versions). Step 3: Now, on the right-side, under Scan external devices on connection Scan removable drives on connection (in Kaspersky 2014), select either Quick Scan or Full Scan. That’s it! If you have any difficulties in enabling the automatic scan, please let us know in comments.